There is nothing more Icelandic than the form of Iceland and it does not spoil the idea that Klakinn means Ice-cube in Icelandic and is a native slang for Iceland. 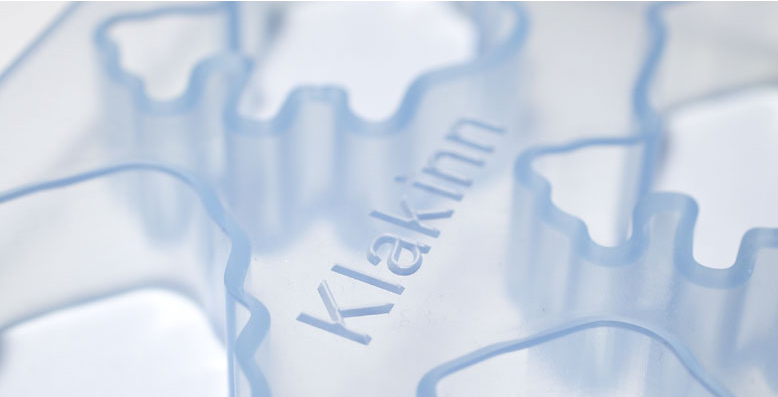 Klakinn is a modern Ice-cube mould that reflect's the Icelandic characteristics. Properties: Because the ice cube mould is made of silicone it can withstand frost to as low as -70°c, it is therefore soft when it comes out of the fridge and ejecting the Ice-cubes is extreamly smooth.